I'm looking to get more involved in the Sitecore community. 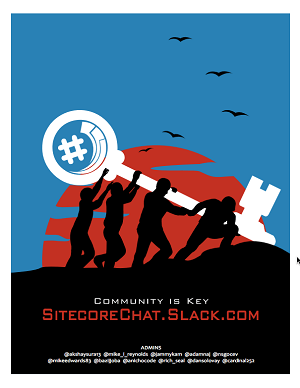 I'm interested in any local, regional or global Sitecore User Groups, events, online resources, anywhere where the community is active and engaged. Answering as a Community Wiki, aimed at keeping an up-to-date list of current ongoing activities of the Sitecore community in one place. Engage with over a 1000 Sitecore users and enthusiasts from around the world in this community hub. Community driven Q&A site aimed at answering any and all questions you have in relation to Sitecore. The purpose of this signup is to gather the email addresses of Sitecore resources from around the world with only ONE thing in mind: To keep the Sitecore community updated with the community news. A community-driven collection of developer resources - including blogs, videos, references, and articles. Meet the people behind the names. Watch Catching Exceptions, a video series about software developers. Catch passionate stories, humble beginnings and all around good people. A group for developers working with or interested in Sitecore development and anything related to it. Sitecore User Group dedicated to support and grow the developer community in Bulgaria. Gemeinsame Gruppe der Sitecore Usergroup Deutschland. Interessierte und Teilnehmer können sich hier austauschen. Sitecore community in Belarus, Minsk aims to bring together professionals who is already working with Sitecore or want to learn about it. This group is open to all developers, marketers and users. A group for and by Sitecore users: developers, end-users, sales reps etc. Our goal is to provide insight into the possibilities and limitations of the Sitecore platform. The Budapest based Sitecore User Group meets for networking and learning within Budapest / Hungary. For all the Sitecore users, developers, marketers and professionals who seek to know more about Sitecore. Join us! Sitecore User Group Poland (SUGPL) it is organization which promotes Sitecore in Poland and abroad, but our main gole is a knowledge sharing. Sitecore User Group Czechia & Slovakia meets for networking and learning within Prague (Czech Republic) / Bratislava (Slovak Republic). This is a group for anyone interested in Sitecore Experience Platform and its tools. All skill levels are welcome. I started this group to meet Sitecore enthusiasts, no matter if you are developer, marketer or business guy. Looking forward to meet you all. Sitecore User Group UAE is established to share knowledge and inspire Sitecore developers, architects, administrators, designers, business , marketers and managers to avail best offering from Sitecore. Sitecore User Group Gothenburg is an open forum where Sitecore developers in the Gothenburg area can meet up for knowledge sharing and networking with peers and Sitecore employees. The UK Sitecore User Group meets on each month for networking and learning. The user group is open to anyone using or considering the Sitecore Experience Platform, or who has an interest in .NET CMS platforms, regardless of technical proficiency. Programmers, marketers, content authors, CMS users and others are all welcome. The Portland Sitecore CMS User Group meets about once a quarter to discuss all things Sitecore from Marketing/Strategy to Development topics. This event is hosted in Downtown Portland Oregon. Welcome to the Saint Louis Sitecore User Group Meetup! This group is a place for Sitecore users, prospective users and implementation/technology partners in the St. Louis metro area to share best practices, network, and expand their knowledge of the Sitecore Experience Platform. This group is open to anyone using or considering using Sitecore regardless of technical proficiency. Please join us at the next Sitecore technical user group and come network with Sitecore employees, your peers, and Sitecore MVPs. Sitecore User Group Quebec is welcoming everyone working with Sitecore. Developers, marketers, administrators, designers, architects, analysts and much more. People working with .Net, web technologies, other CMS or WCM would also find this group useful to learn more about Sitecore. Our goal is to organize an event every other month. Welcome to the Sitecore User Group Montreal! Every session is open to developers, marketers, administrators, designers, architects, analysts and anyone interested in web technologies, digital transformation, User experience, Contextual Marketing with Sitecore Experience Platform. Stay tuned for our coming session! The Sitecore User Group – Minneapolis/St. Paul is a collection of marketers and developers from companies, agencies and partners who know, use and love Sitecore. The group gathers in-person for informal, informative sessions of interest to both marketers and developers that focus on new Sitecore features, digital marketing strategies, tech tips, case studies by companies and partner presentations. The gatherings also include networking and socializing opportunities that support the regional Sitecore marketer and developer communities. Focusing on the industry-leading Sitecore CMS platform, the Atlanta Sitecore User Group is a networking group located in the Greater Atlanta area. It aims to provide Sitecore partners, clients, prospects, and developers an opportunity to network with one another, share best practices with the Sitecore platform, and learn more about the tool and the people who are leveraging it. Membership is open to anyone interested in Sitecore Content Management Systems, from all levels of experience. A developer focused meetup for Sitecore developers in the Southeastern Wisconsin area. The New York Metro Sitecore User Group is built for anyone interested in learning the core staples, as well as cutting edge trends and features of the Sitecore to get the most out of this powerful web content management, digital marketing and customer experience platform. The group regularly meets in NYC, and each speaker-led meeting will cover interesting and informative technical, business, digital marketing and customer experience topics. Houston Sitecore User Group - Meets quite regularly. Queen City Sitecore User Group - Meets once every month. The Seattle Sitecore User Group is a Sitecore networking group covering the Puget Sound area. Membership is open to anyone interested in Sitecore, from all levels of experience and all disciplines. Sitecore User Group - Brasil - Grupo de usuários de Sitecore Experience Platform. Público alvo são Desenvolvedores, Editores de Conteúdo, Profissionais de Marketing, Proprietários de Licensa, entre outros usuários de Sitecore Experience Platform. The Sydney Sitecore User Group meets quarterly for networking, learning - and did we mention free pizza and drinks? Sitecore User Group - Sri Lanka is an open discussion forum dedicated to support growing sitecore community in Sri Lanka. We are here to bring together professionals working on Sitecore to share our knowledge and experiences among each other, and enrich our own knowledge and spread the 'Joy' of Sitecore! Other relevant Sitecore community resources that doesn't fit into the above.